Is Get Out the Blackest Movie Ever? Before you clutch your pearls—wait. Do black people own pearls? Aside from AKAs, I don’t think so, so I will revise the previous sentence. Before you clutch your Jesus piece, allow me to elaborate. There are definitely movies with more black characters or blacker themes (Friday, Do the Right Thing, Fruitvale Station, etc. ), but Jordan Peele’s keynote address to the Sundance Film Festival brought up the idea that perhaps no other mainstream film has so unapologetically exposed every facet of black people’s perceptions of racism and of white people in general. 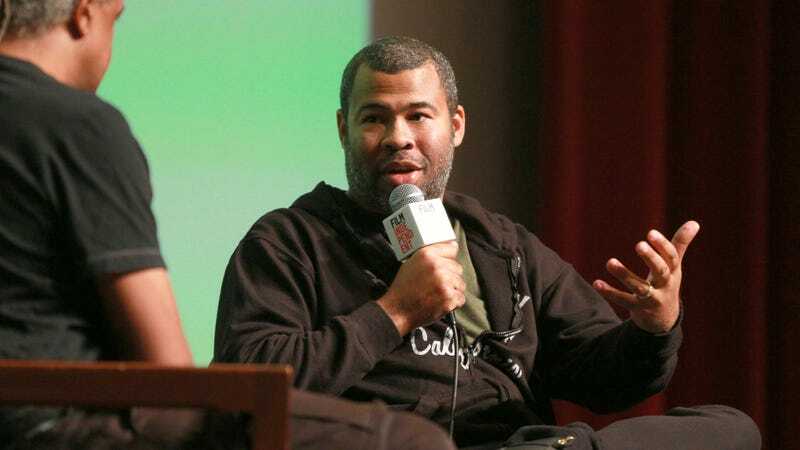 According to Deadline, Peele gave the keynote address at the Sundance Film Festival Independent Forum on Sunday and addressed many of the themes of the film, digging in on how it differed from other mainstream films like 12 Years a Slave and Hidden Figures. Peele pointed out that the “white savior” complex that underlies many movies often gives white audiences an out because there is always a white savior who absolves them of racism. In their thinking, there has to be at least one good, nonracist white person for the audience to identify with. “Every white person in this movie is evil,” he told the audience. The director explained that before this one hit theaters, he couldn’t recall any mainstream movie that ends with the black character killing a white person—much less a white woman. Peele said that he wanted to use the horror genre to address the post-racial lie of the Obama era while having black characters do things moviegoers wouldn’t normally see on-screen in a scary movie. Instead of frantically waiting for death, Chris—the main character—was intent on escaping, as the name Get Out suggests. The themes of the film, according to Peele, had less to do with the individual white characters in the movie and instead focused on the idea of how violence was inflicted on Chris and other black bodies for a singular purpose: to steal, appropriate and erase the talent and abilities of black people because of privilege and greed. “The system itself is the monster,” Peele told the onlookers. Besides Boo 2! A Madea Halloween, can you name another one?